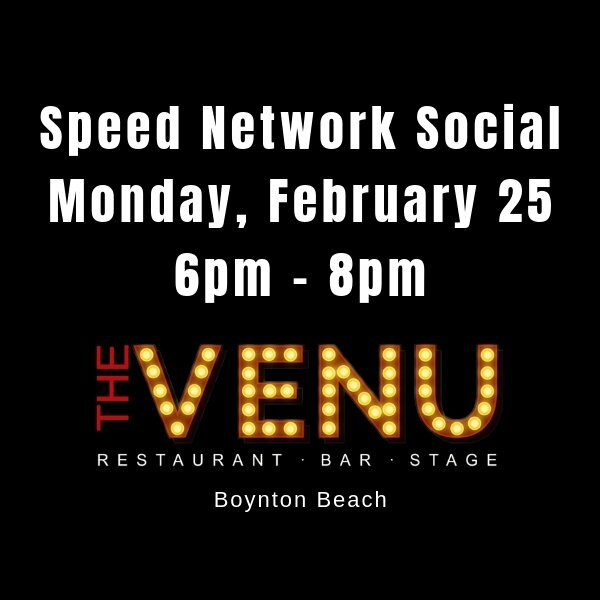 Join us Monday, February 25th for a Special Business Speed Network at The Venu Restaurant and Bar in Boynton Beach! *This is a private Speed Business Network Happy Hour Event. $6 Special Early Ticket Price (1 Ticket for $6) while they last. $6 Special Early Ticket Price (2 Tickets for $12) while they last.